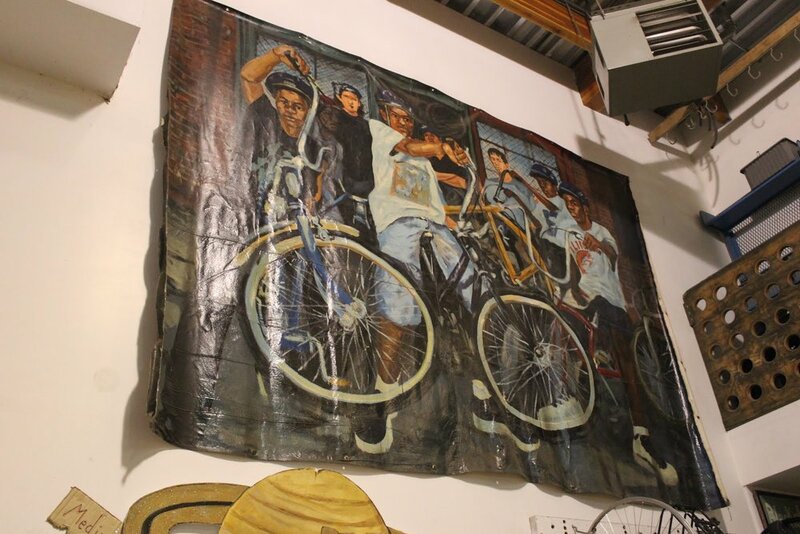 To encapsulate the biking culture on the South Side of Chicago I went to Blackstone Bike Works. Blackstone Bike works is a bike shop, however, it is much more. The founders, Jamel “J.T.” Triggs and Jermell “Melo” Akins, started an after-school program for the underprivileged youth in Chicago. 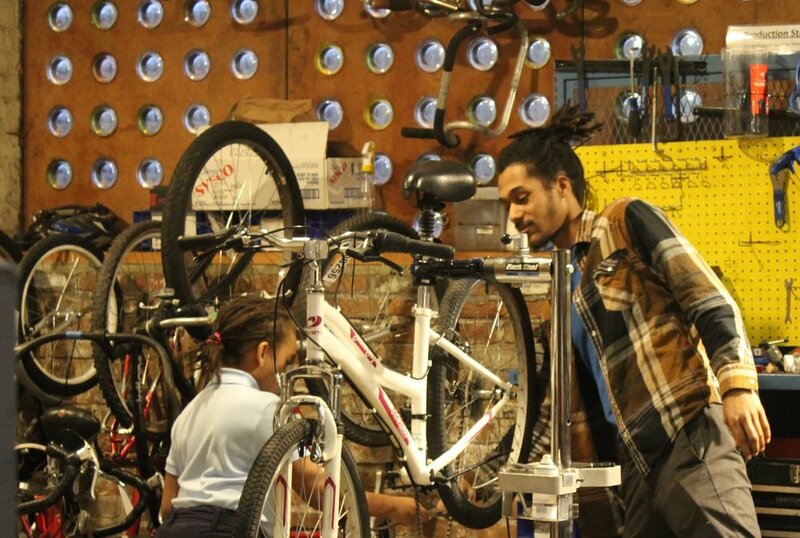 This bike shop teaches practical skill while building a safe community. When you approach the shop, it is clear that you have come to the right place. Bike culture spills out the door. There is a pile of tires lying in the street and a tree decorated with more tires. Nothing else is on the block, so if you are there it is only for the bike shop. They don't try to make the space anything that it's not. There are no kid-friendly tools or adult-only zones. Until 50 kids ran through the shop, I would have never guessed that it was an after-school program. The bike shop serviced the Hyde Park area like any other bike shop would. They take repairs and fixes, but they also teach kids how to do the work. But then the kids came, and the mission of the shop became clear. They worked side-by-side with the adults. Moments before this image was taken, the man was fixing the bike. He quickly stopped his work to assist one of the school kids.